No Minors: Is there a meaning here. 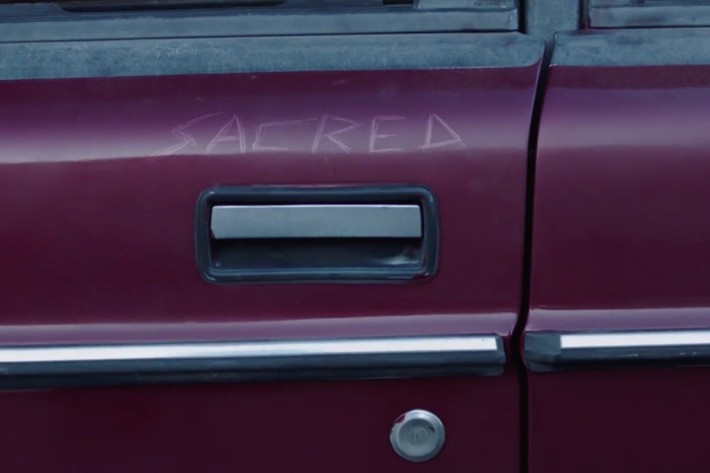 I’m so intrigued by hidden words lying in plain sight in Sharp Objects that I had to share Kathryn VanArendonk’s piece on Vulture.com verbatim here. So many hidden messages! The HBO mini-series Sharp Objects is full of shadows and echoes and things you can’t quite fully glimpse — mysteries you know are there but can’t yet see, stories with contours you can’t totally make out. History lurks underneath everything, and after two episodes, we can mostly just see the outlines. But it’s also a show with words scratched on its surface. Sometimes they’re pitch-black, slantwise jokes about femininity and social expectations, sometimes they’re warning signs, and sometimes they’re straight, uninflected daggers of self-loathing. 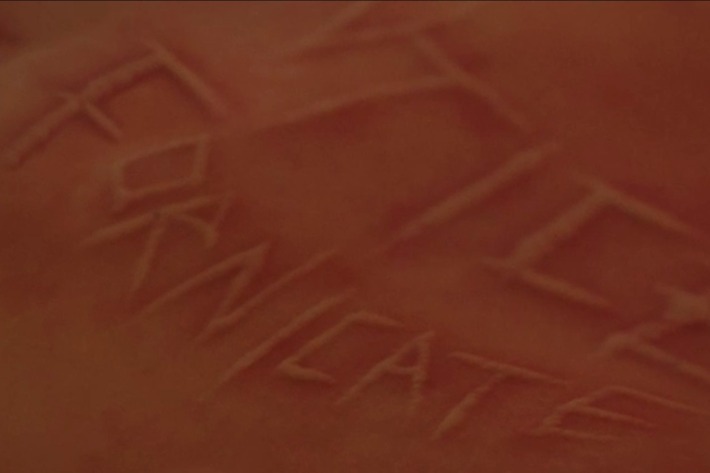 As we discover in the last shot of the premiere episode, Camille Preaker literally carves words into her skin, turning herself into a lexicography of pain. She writes the inside words on the outside, naming and defining her story on her body. 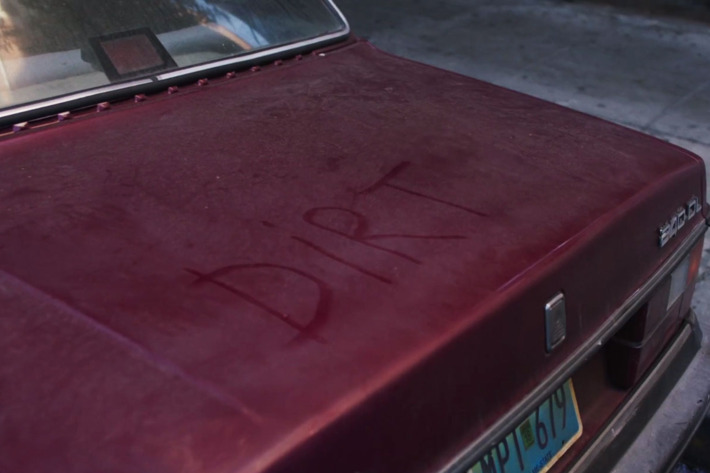 If Sharp Objects is an extension of Camille’s own self, an indication of how much its camera is also Camille’s eye, it makes sense that many of those words are also scratched and painted on the show itself. They hide in plain sight, suddenly visible in one frame and disappearing in the next. Many of those words are hallucinatory, appearing in places that words wouldn’t otherwise show up, or you can only see them for a moment. Beyond Camille’s own hallucinations, Sharp Objects extends her fixation on words into a broader visual style, often using signage and lettering as a wry commentary on characters and their actions. These uncanny, hallucinatory images are a huge part of the show’s meticulously off-balance, unnerving feel, but they are insistently not clues — not in the traditional sense, at least. You don’t need to see them to anticipate what’s coming, nor are they a bread-crumb trail of tips to lead viewers to a hidden riddle. Their meanings are not hard to interpret: They are words from Camille’s mind, from how she understands herself, from the narrative of herself. They’re barely visible versions of everything Sharp Objects is already showing us, made explicit in language. Don’t think of them as hints; think of them as labels. Troubling, alarming, deeply scarring and scarred labels. The first hidden word we see seems completely innocuous. Camille (or someone else) has used thumb tacks to spell out “ASK!” on the divider of her cubicle in her St. Louis newspaper’s office. It’s exactly the sort of meaningless, mindless thing you’d do while sitting at your desk. And its message reads as a chipper reminder for Camille to do her job. Once you see it in the context of the rest of the episode, though, “ASK!” seems like the viewer being prodded to ask about hidden mysteries, and like Camille begging to be asked real questions. 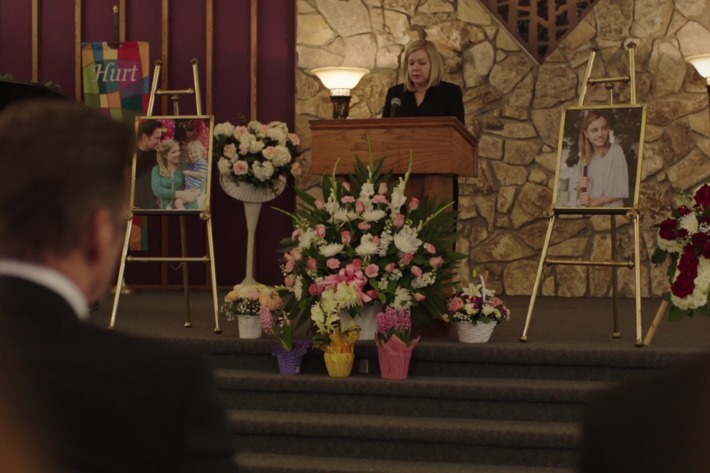 On Sharp Objects, it surely can’t be a mistake that the word is spelled out with literal pins. 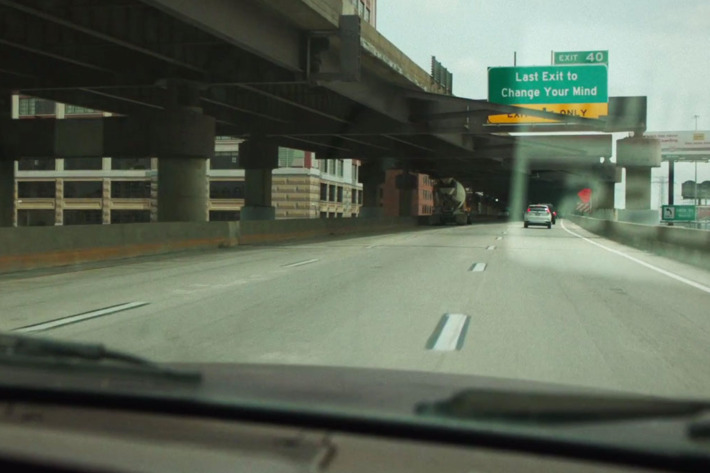 This one isn’t a hallucination, but it’s an example of the way Sharp Objects uses written language as part of its visual design. 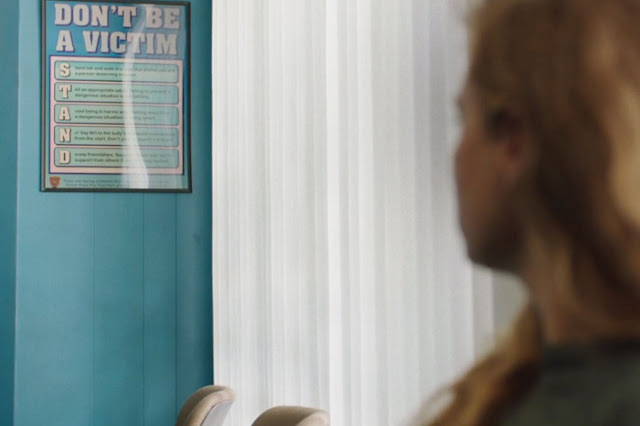 In a show where we already know about one murdered girl, another missing, Camille’s deceased sister, and the likelihood of other mysteries of Camille’s past, a sign reading “DON’T BE A VICTIM” falls somewhere between sincere victim-shaming and a very dark joke about the cruelty of the patriarchy. “TOLERATE” and “LIMIT” are seen behind the glass. 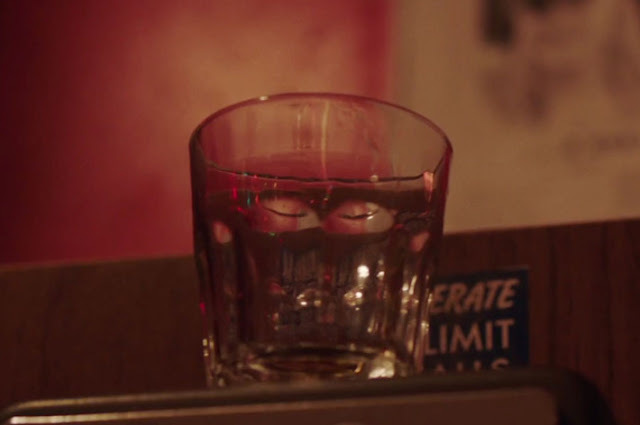 Another of Sharp Object’s bleak jokes, there’s a sign about knowing how much alcohol you can handle lurking behind an empty glass in the Wind Gap bar. When Chief Vickery kneels by Natalie Keene’s body in an alley, the word “YELP” is scratched on the door frame to his left. 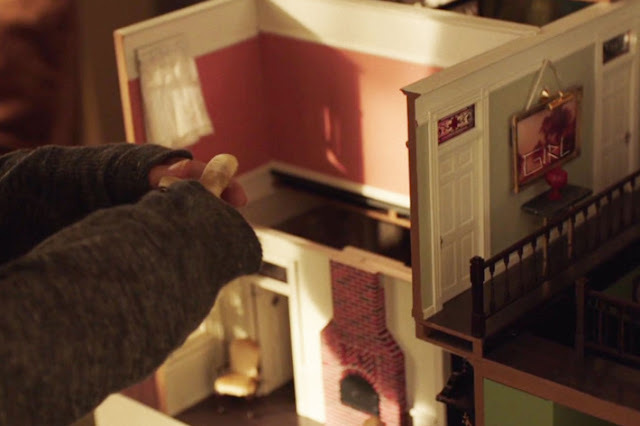 “GIRL” is seen on a painting in Amma’s dollhouse. 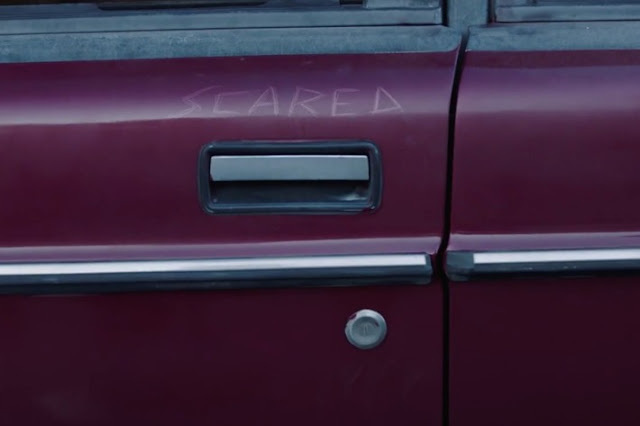 In the final shots of the episode, Sharp Objects gives us the reveal that will be familiar to anyone who’s read the Gillian Flynn novel: Camille’s skin is covered with scarred words. 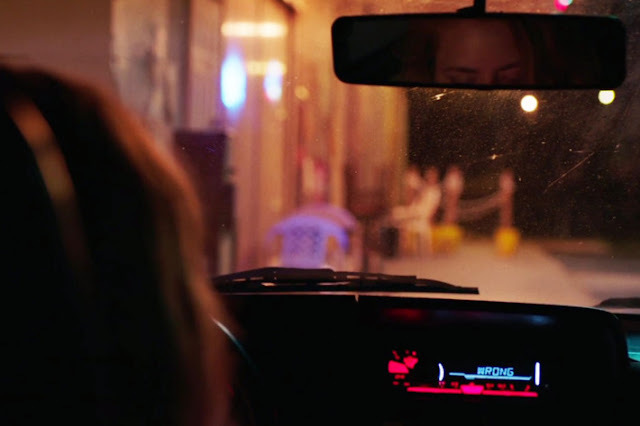 They’re all over her back and her legs, and in the final frame, the episode title, “VANISH,” appears suddenly highlighted on the back of her arm. Sharp Objects hasn’t yet given a clear shot of Camille’s entire body, but we do get a flash of one scar in the montage at the beginning of the second episode. The word “SCARED” is seen scratched on Camille’s car as she slams the door and walks into the Keene house. Another onscreen textual joke: Camille looks around Natalie’s house and spots a girl’s pink T-shirt with “Whatever” printed on the back. 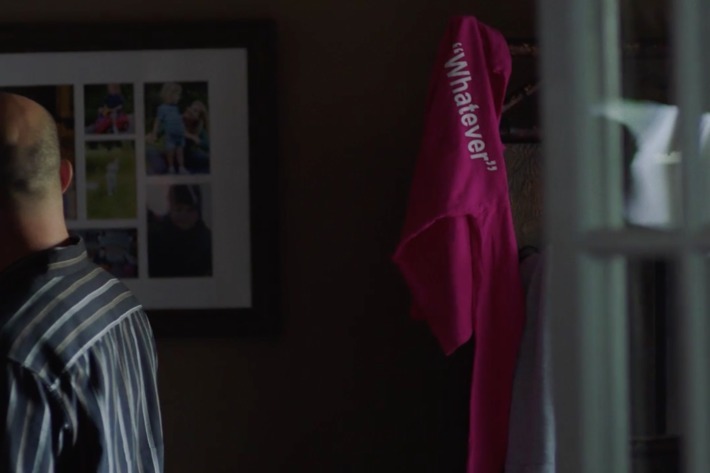 It’s a fantastic encapsulation of the person Camille decides Natalie was — someone stuck inside a set of girly social expectations and restricted to a palette of pink and purple, but whose own tastes and interests didn’t conform to the feminine norm. Which leaves me with two questions. 1 Does the No Minors sign on the bar doorway have a specific meaning? This is a show where words we can see have a specific meaning, and the uneven, slapdash sign saying No Minors is too deliberate a choice not to have some other meaning. Clearly, according to the sign, no one under 21 is allowed YET we see the brother of the missing girl drinking so we know the sign is a lie, and the bartender giving him a pass. Why? 2 What words will be hiding in plain sight on tonight’s episode?